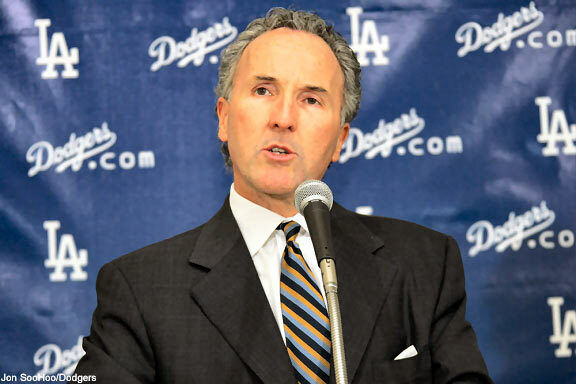 It's a sad day in Los Angles, as Frank McCourt filed the Dodgers for bankruptcy! It’s Tuesday and yes, we’re getting somewhat closer to July 4th, so hang on tight, OK? Here’s the day’s headlines and news, so enjoy! * Apparently, one source has it correct, which is… Frank McCourt has nothing and the Los Angles Dodgers have it all. * While ball clubs should be focused on winning, the Dodgers are forced to worry about payments and economics. * It’s not certain, but the NFL could “implement” a Thursday Night schedule beginning in 2012, but is that a good or bad idea? * Once again, New York Giants quarterback Eli Manning is favoring a Plaxico Burress return instead of Tiki Barber. We saw this coming, right? * According to reports, Terrell Owens had knee surgery to repair his ACL, but some are wondering, will he return this season? * It’s a done deal, Russell Wilson is no longer a member of North Carolina State, but instead the Wisconsin Badgers football team. Remember when T.O. cried during a press conference? Well, this particular video brings back memories, right?